Destructoid is an independent video game blog founded in March 2006 and based in San Francisco, California. Since it was launched it has grown spectacularly and has become one of the most popular video game blog on the Internet. 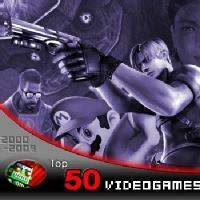 In March of 2009 they published a ranking with the 50 best videogames of the decade. They considered all of the videogames published between 2000 and 2009. This was the end result.